The only positive thought about at trip to Dundee was that with United in the Championship we do not have to go there too often. Few Motherwell fans would have relished another journey to the City of Discovery, especially in February, but we undeniably had a strong chance to progress. Previous meetings between the teams had left the Dee frustrated though and they also fancied their chances of brightening their battle against the drop. The first clash, in the direct aftermath of the League Cup semi-final, was won 1-0 at Dens by a Motherwell side fast running out of gas. In the second we snatched a 1-1 draw while running out of players as our injury crisis approached comical levels. 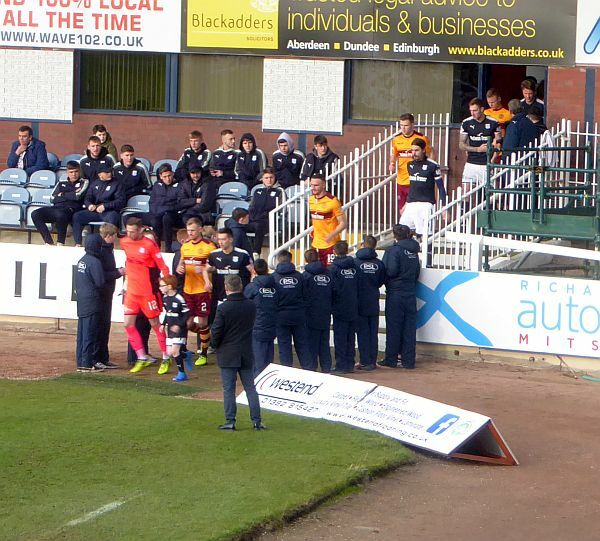 It would be foolish of us to talk grandly about a difference in quality between Motherwell and Dundee – but while it may only be seen in fine margins, this tie showed it is there and the previous games, despite Neil McCann gnashing his teeth, were not flukes. Craig Tanner opened the scoring with a volley which should have been saved and a defensive blunder allowed Curtis Main to double the lead. Dundee had their chances but missed them. The hosts made mistakes at either end, we made none and deservedly progressed. There's little else to be added other than that Nadir Ciftci took great delight in riling the home support throughout. The quarter-final draw loomed but it did not look promising. Neither of the Old Firm had fallen, Hearts were there having stopped conceding goals under Craig Levein and Kilmarnock were flying under Steve Clarke. Aberdeen had cruised to round 5, even if at home to lower league sides, while Falkirk and Morton were everyone's dream draw. To the shock of, well, no one, Celtic got Morton and Rangers met Falkirk. Both in Glasgow, of course. We were given Hearts – at least at home – while Killie had a long trip north to Aberdeen. It is at this point you could have been forgiven for thinking it would not be our year. A path to the cup seemed certain to include both the Glasgow sides and either Aberdeen or the form side in the country. But later problems were to be solved later – no one thought beating Hearts would be easy.